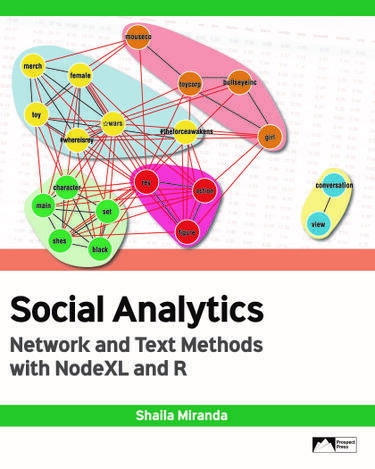 "Social Analytics: Network and Text Methods with NodeXL and R covers social network analysis, text analysis, and text mining. Presenting these methods together helps readers understand both the structure and content of social media conversations. The initial chapters address the foundational concepts of social analytics and its potential for business. Next, readers attain familiarity with tools and techniques for social network analysis, text analysis, and text mining. Students practice using NodeXL, LIWC, and Weka, and progress to implementing in R using RStudio. Relevant, engaging business examples throughout."